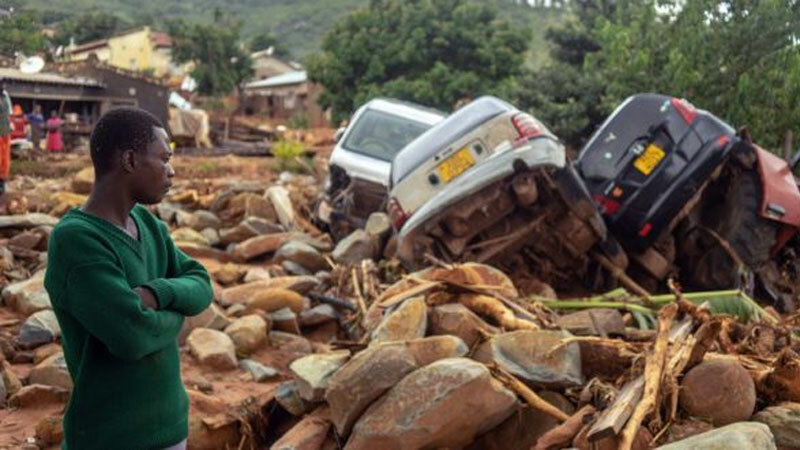 A tropical cyclone that tore across Mozambique at the weekend may have killed more than 1,000 people, President Filipe Nyusi said as heavy rains continued to inundate the southeast African nation and neighboring Zimbabwe. Mozambique’s worst-recorded flooding occurred in 2000, when Cyclone Leon-Eline struck, killing about 800 people. The country is the third-most vulnerable on the continent to climate change, according to the Global Facility for Disaster Reduction and Recovery. So far, at least 98 people have died in Zimbabwe and 84 in Mozambique, according to official counts. The death toll is expected to surge as emergency services are trying to reach the Mozambican port city of Beira and other areas cut off by damaged infrastructure and flooding since Tropical Cyclone Idai made landfall on Friday before moving westward to Zimbabwe. The scale of the damage it caused is “massive and horrifying,” said Jamie LeSueur, who is leading an International Federation of Red Cross and Red Crescent assessment team in Beira. Still, the full extent of the devastation is yet to emerge.